Samsung Galaxy S4 takes on the HTC One. Who will win your smartphone loyalty? Editor's Note: Please see part one of our two part series comparing the Samsung Galaxy S4 and the HTC One here. The Android mobile market is preparing to welcome two of the most anticipated smartphones of the year. The hype surrounding the HTC One and Samsung Galaxy S4 ensures the battle between the handsets will be heated. Nevertheless, every manufacturer will showcase and defend its product. 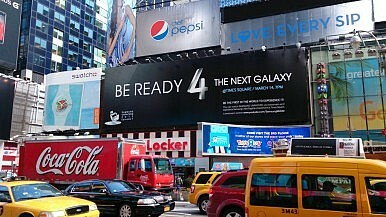 Although there is some truth to HTC's claims, the Galaxy S4 is far from being a "flop." The Samsung Galaxy S3 was no dud either. The best course of action is to leave the marketing war aside and take an unbiased look at what these two smartphones have to offer, which is precisely what we will do now in part two of The Diplomat's miniseries comparing the Samsung Galaxy S4 and HTC One. In this installment we'll discuss the software features of the two contenders. For a raw specs comparison see the first part of this miniseries. Let's begin with the HTC One's new Sense 5 user interface (UI). While HTC's old Sense UI stirred some controversy – many appreciated its eye-candy, but others felt its good looks detracted from its performance – the HTC One's new Sense 5 UI is one of the handset's most interesting features. The HTC One's Sense 5 UI is completely revamped and features a redesigned home-screen design, Roboto font and cleaner widgets. The UI also has a new app drawer with new options. Users will be able to modify the grid size of the app drawer, sort apps by various criteria and create folders within the app drawer itself. The One’s Music Player has also been redesigned and now features a visualizer and an automatic lyrics scroller. But BlinkFeed, a tile-based interface that keeps the user connected to various social networks, is one of the most prominent new features on the One. HTC developed this new UI option after reaching the conclusion that most Android users do not use a wide range of widgets, nor do they need a multitude of home screens. As such, the One comes with only two home screens by default: one being a classic Android style home screen, with the other hosting BlinkFeed, which connects users to social media networks like Twitter, Flickr and LinkedIn. Let’s move on to the Galaxy S4’s UI. In terms of design, the Galaxy S4’s new TouchWiz UI hasn't seen as many changes as the One’s Sense UI. In fact, it looks almost identical to the Galaxy S3’s TW Nature. Samsung did, however, include a handful of new software features not found on the HTC One – or on many other smartphones for that matter – such as Smart Scroll, Smart Pause, Air View, S Translator and Optical Reader, among others. The main point is that the TouchWiz UI seems unchanged, but looks can be deceiving. The S4 is loaded with many new features – perhaps even more than the HTC One. In our previous comparison we did not address the rear cameras on these two gadgets as most of their uniqueness stems from software rather than the hardware. As such, both the 13 MP and 2 MP cameras fitted on the SGS4 help the handset stand out, thanks to features such as Dual Camera, Sound & Shot as well as Drama Shot and Eraser Mode. On the other hand, the HTC One features a 4 MP UltraPixel camera. While this might not sound too exciting, those who are savvy with digital photography know that the megapixels are not the most important characteristic. The important point is that the One can capture impressive photos in low-light conditions and has a new image signal processor that includes a buffered capture cycle, which functionality similar to Samsung's Best Face, Nokia's Smart Shot and BlackBerry's Time Shift. The HTC One also includes a "Zoe" shooting mode, allowing users to record short HD videos, shoot HD photos and then compile them in a highlight reel that features various visual effects and audio themes. If you're interested in HTC One's Zoe mode will allow you to do, check out the videos put together by the staff at Know Your Mobile. All things considered, we feel that the HTC One is a more media-oriented device. Features like BlinkFeed, Zoe and a new music player, which can be used as a miniature karaoke machine, all support this impression. The Samsung Galaxy S4, on the other hand, seems to be a more practical device, thanks to features like S Health, S Translator and Dual Shot. To be sure, artistically-oriented features are present on the Samsung gadget as well, as seen in this video. Ultimately, both devices are very appealing and offer incredible software features. It's up to each user to decide which handset is best tailored to their individual needs. What are you going to choose? Let us know in the comments below! Samsung Galaxy S4 takes on the HTC One…who wins? You Decide.